Health Minister Leona Aglukkaq today updated Canadians on the H1N1 flu virus response and reemphasized the Government of Canada's ongoing collaboration with its national and international partners to manage the spread of this virus. The Minister and Canada's Chief Public Health Officer, Dr. David Butler-Jones will be participating in an international meeting on the global response to H1N1 flu virus in Cancun, Mexico from July 1-3. "The Government of Canada continues to work closely with our Canadian and international partners to monitor and manage the spread of H1N1," said Minister Aglukkaq. "The Cancun meeting will provide us with an opportunity to learn more about the virus, evaluate our response thus far, and strengthen our plans for the future." 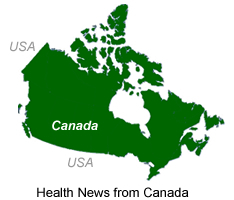 The following highlights some of the latest information on the virus as well as a number of activities the Government of Canada is taking in specific areas to address the illness. In Canada, while new cases of H1N1 flu virus continue to emerge, the majority of cases do not require hospitalization. Preliminary data shows that the majority of those infected with H1N1 are under the age of 20, and that relatively few people over the age of 65 have contracted the virus. The average age of persons in Canada with H1N1 flu virus infection is 22 (median 17), with an age range of those infected between 1 and 97 years. During seasonal influenza, people over 65 usually account for about a quarter of overall infections. The Public Health Agency of Canada is still collecting information on the hospitalized cases of H1N1, but early data for a third of the reported cases shows that about 30% involve either pregnant women or people with underlying conditions like lung disease, heart disease, immunodeficiency, and diabetes. The Government of Canada continues to work with all partners to address H1N1 throughout Canada. While the majority of cases are mild, there are some pockets of severe illness in Canada, including in some remote First Nations communities. The Government of Canada continues to implement its pandemic plan across the country with the partnership of the provinces, territories and First Nation communities. Some actions that have been taken in remote First Nations communities include the dispatching of additional doctors and nurses and ensuring that nursing stations in remote First Nations communities have necessary supplies for health care workers caring for suspected cases of H1N1. Antivirals have been shipped to affected communities and Health Canada is working to ensure that additional requirements are met as needed. Epidemiologists are also studying the virus and how it is spreading in First Nation communities. Finally, those First Nations patients living in remote communities who show signs of serious illness continue to be transported to hospitals, as they have from the beginning of the outbreak. "As with any plan, we have to adapt to the situation at hand, and the unique characteristics of individual communities," said Dr. David Butler-Jones, Canada's Chief Public Health Officer. "We are working with provincial health officials and First Nation leadership to implement our pandemic plan." News is included on the IvyRose website to inform visitors about current health issues, but not to endorse any particular view or activity. Any views expressed in the article above are not necessarily those of IvyRose Ltd.. Material in this news item was released by the Canadian based source listed below on 29 June 2009 and may have been edited (e.g. in style, length, and/or for ease of understanding) for inclusion here. For further information, please visit their website.